CHICAGO (Reuters) - The main Chicago police union is standing behind the white officer who was charged this week with first-degree murder for gunning down a black teenager. It is facing a backlash from leaders of the city’s black community as a result. 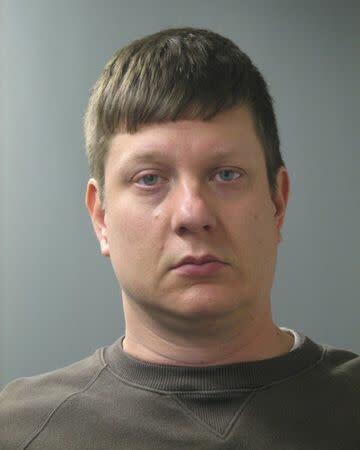 On its website, the Chicago lodge of the Fraternal Order of Police (FOP), has posted a bail fund appeal for the officer, Jason Van Dyke, who is accused of shooting 17-year-old Laquan McDonald 16 times just six seconds after emerging from his patrol car on a street in Chicago on Oct. 20, 2014. An earlier link on the FOP's front page to a GoFundMe campaign was removed after the fundraising site said it violated a policy against its use by criminal defendants. The FOP also is paying the lawyer representing Van Dyke, Daniel Herbert, himself a former FOP member the union pays to represent Chicago cops in misconduct cases. Funding such a defense is a common practice among U.S. police unions. The FOP’s support for Van Dyke appears to have support within the union, according to email and phone interviews Reuters conducted with a number of white and black active-duty and retired cops, as well as union and black police association officials. They stopped short of defending Van Dyke’s actions - which were caught in a graphic video made public this week - but did say it was important to place them in the context of a racially divided city beset by violence. Some of the officers say they are concerned the city’s police force has become a political football and is not getting enough support from Chicago Mayor Rahm Emanuel and police chief Garry McCarthy. These officers also say the decision by Cook County State’s Attorney Anita Alvarez to charge Van Dyke with first-degree murder, rather than the lesser charge of second-degree murder, was a politically motivated effort to head off outrage about the video. "First degree is a high bar to set, and of course it's political," said one active duty police officer who asked not to be named, and who responded to written questions from Reuters by email. A second police officer said most people would not understand the pressures on Van Dyke and other cops when they are dealing with someone holding a weapon, in this case a knife, and have to make split-second decisions. "A police officer sees that video and has a different mindset than the rest of the people out there. It could be one of us,” the officer said. Dion Trotter, president of the Cook County chapter of the National Black Police Association, said a 13-month delay in releasing the video of Van Dyke shooting McDonald frayed relations with the community. "Those kinds of things begin to break down the trust between police and community," Trotter said. But Trotter backs the FOP’s decision to stand behind Van Dyke. "It's the FOP's job to support him,” he said. The turmoil over the case – protesters blocked streets this week and disrupted Black Friday shopping on Chicago’s “Magnificent Mile” — has shone a spotlight on a police department unable to stanch violence in the city’s poor, black neighborhoods. A group of African American aldermen last week called for the ouster of McCarthy, a key member of Emanuel’s administration. One also stated the police union contract, which expires in 2017, will now be scrutinized. "Our caucus has vowed to work with other caucuses and other of our colleagues to review the FOP contract to make sure there are tougher policies and sanctions against police officers who do egregious or illegal acts,” said Alderman Pat Dowell. McCarthy put Van Dyke on administrative duty soon after the shooting, but under terms of the FOP contract the cop still drew a police paycheck until he was charged with murder on Tuesday. The police chief and the mayor have defended the delays in charging Van Dyke and releasing the video. They said their hands were tied, in part by the city's agreement with the union. Dean Angelo, president of the local lodge of the FOP, dismissed criticism from lawmakers who he noted had unanimously approved the FOP contract. “Now, because it's advantageous to their political career, the FOP contract needs to go." He also defended the FOP’s decision to post the appeal for a bail bond on its website, saying that no members have complained. One concern among black city council members is the frequent use of lethal force by Chicago cops. In the seven years between 2008-2014, 74 percent of people shot by police in Chicago were black. Chicago police shot an average of 50 people a year in that period, against 31 a year for Los Angeles, 27 in New York City, and 14 in Houston. To be sure, though, Chicago's murder rate - at 17 per 100,000 people - is significantly higher than the other cities over the same period. In almost all cases, investigations of the Chicago Police Department's officer-involved shootings find that lethal force is justified. However, the city spent $358 million from 2008-2014 to settle lawsuits against the city, the vast majority having to do with police misconduct. In the McDonald case, city lawyers preempted a lawsuit by agreeing to a $5 million settlement of all McDonald family claims arising from the case.